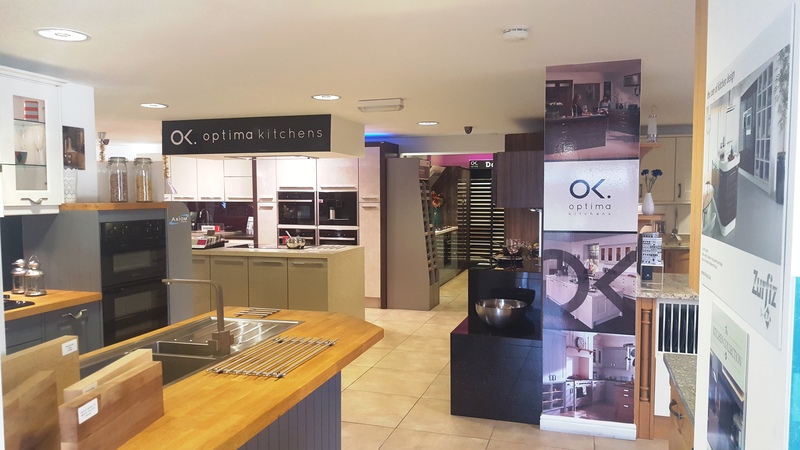 At Optima Kitchens we believe that even the best website or brochure in the world can't beat seeing our kitchens in the flesh. That's why we have invested heavily in our Grangemouth showroom which is now fitted with over 14 displays plus a large selection of sample doors. Our showroom staff have years of experience in the design of not only beautiful but also practical kitchens and will be delighted to take the time to help you achieve the look you really want. We also have a wide range of appliances and worktops on display along with a wide selection of clever storage ideas to help you visualize just how good your new design can be. Please feel free to come along and either have a browse round our displays, or if you wish have a chat with one of our designers. Over 14 displays plus a large selection of sample doors.